The Functional Medicine Coaching Academy is a ground-breaking program that was established in collaboration with The Institute for Functional Medicine. They are on a mission to transform healthcare by making Health Coaches the new face of wellness medicine. 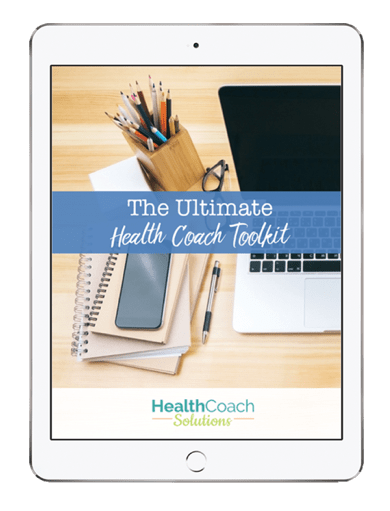 To fulfill their dream of seeing a Health Coach in every physician's office, they created a unique program that blends Functional Medicine with the teachings and coaching skills derived from positive psychology. These two ways of looking at human beings are remarkably similar: they are both based on sound scientific evidence and both address what we need to thrive. To round out the curriculum, students learn how to incorporate functional nutrition, eating psychology, and mind-body medicine into their approach as well. The roster of teachers for this 12-month online program includes world-renowned faculty from The Institute for Functional Medicine and leaders in positive psychology. But to become an effective coach, it takes more than acquiring knowledge. Students engage in hands-on coaching, including a supervised practicum. If you have a passion for helping others, a love of learning about health and wellness, or want to integrate your previous healthcare training with Functional Medicine and positive psychology so that you can enter this exciting field, I encourage you to imagine yourself as a Functional Medicine Certified Health Coach and apply now. 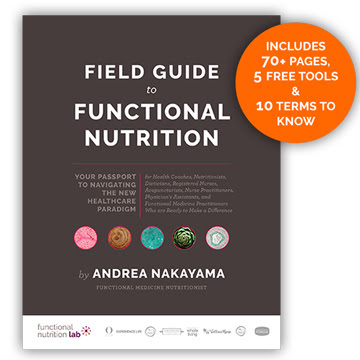 If you love helping others and want to take your business to the next level, I invite you to enroll in the Functional Diagnostic Nutrition® Certification Course! Using the latest findings in genetics and other cutting-edge lab testing to guide individuals towards optimal health. An approach to health that considers the whole person (and not just isolated symptoms). Finding the root cause of imbalance and disease (Functional Medicine). Enabling the body to heal itself by providing good nutrition (food as medicine), and determining the effects of specific foods on the individual. Utilizing a holistic wellness model, with proven protocols that gets profound results and allow you to truly help others. An opportunity to gain abundance working with autonomy in a field with limitless potential and exploding popularity. When it comes to gut health – it is a mine field. New information is published every day and much it is changing what we know. Researchers are connecting the gut to all health conditions. More importantly, microbes determine how we develop and change throughout our life. So how do you get the knowledge? The Healthy Gut Program for practitioners. This is the way to make it easy. Supporting gut health is foundational medicine. Without the right microbes, we cannot function properly. Functional medicine is good but without foundational medicine, it will not work as well. With over 32 hours of content, fully researched with education videos, practical strategies, protocols, food and supplement information, menu plans, recipes and tools, the Health Gut program is designed to be a permanent resource with ongoing support. You will always be up-to-date. It also includes an option for a complete Done-For-You program. Gut health is one are that all health coaches should be an expert in. You owe it to yourself and your clients to check out this great program. The 35-week online Certified Human Potential Coach Training program including live calls. Access to weekly Coaching Clinic with faculty. Exclusive Live Webinars with Dave Asprey, Founder of Bulletproof. Eligibility for membership of the Association for Coaching (AC). The AC is a leading membership association for Professional Coaches. Free listing on our training institute website for three years, following your certification. Invitation to take part in the Bulletproof Training Institute Continuing Education program. Belonging to an influential network of highly motivated professional colleagues and Coaches. The Human Potential Coach Training goes beyond Health and Life Coaching and is filled with life-changing content just like this. Everyone in the program experiences an upgrade in their own body, mind and life, and help others do the same as a certified Human Potential Coach. The training is deeply fulfilling and provides you with the skills and knowledge required to develop a thriving life coaching practice focused on helping clients tap into their unlimited power. Coaches all over the world are transforming their passion for personal development into a profitable practice. Will you be one of them? This Integrative Women's Health Institute offers the only NCCHWS accredited online health coach certification that is specially designed for women. This evidence-based, holistic, clinical education offers a top-notch education in a variety of disciplines. What I love about this program is it's not just one program. 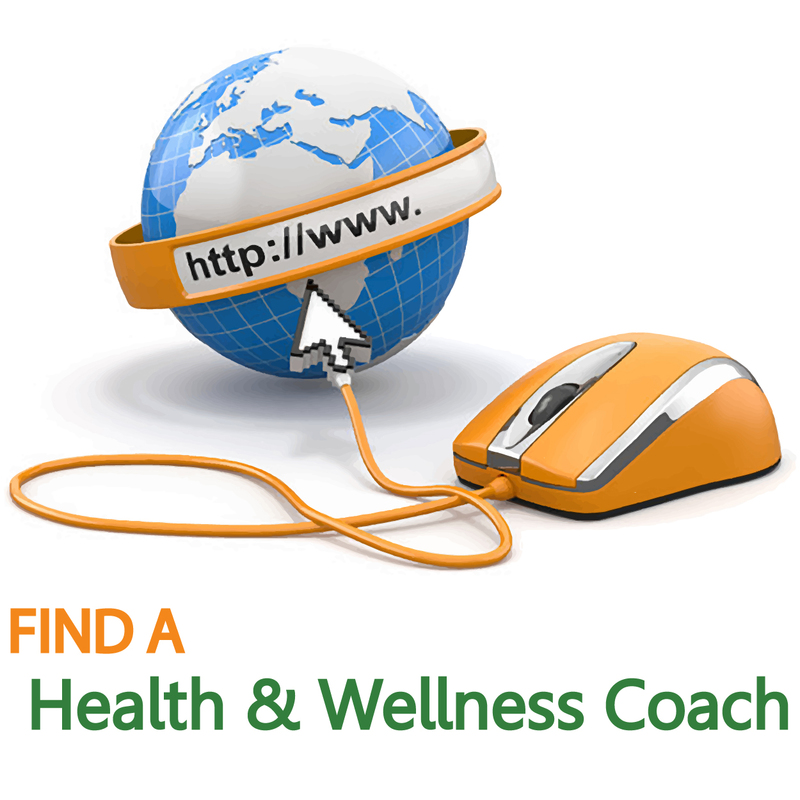 You can choose the Women's Health Coach Certification or one of their speciality certifications. Click on the links below to learn more about each specialty. If your niche is women then this is the training for you. Check out the following pages for a more detailed look at all your options.